Me, my two 49.9 pound bags, my carry-on bag filled entirely with shoes and books, my stuffed animal, and my mom are boarding a plane to London. In her case, she will get back on a plane in ten days, leaving me to find my place in the massive metropolitan city. Boots, Zara. 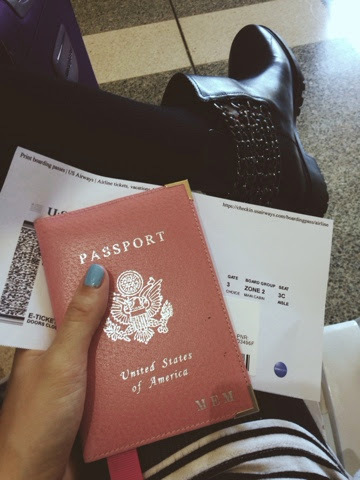 Passport, USA baby. I couldn't be more ready, see you all in London.